dwell and tell: I Love Thrifting Day 2012 - In Birmingham July 7th! 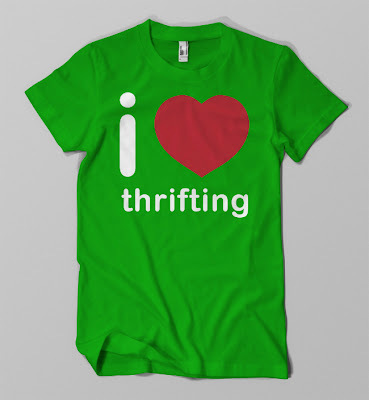 I Love Thrifting Day 2012 - In Birmingham July 7th! I had so much fun meeting great people at I Love Thrifting Day last year, how could I pass up the opportunity to host an event in Birmingham? As I described it last year... No fuss. Just meeting people with similar interests and shopping! On Twitter? Follow the fun on Twitter with the #ilovethrifting hashtag. Psst... While I manage three Twitter accounts for myself alone, you can follow me on twitter here for updates about #ilovethrifting in #bham. *Regarding the location... I hosted last year at my two favorite thrift stores. Do you want to shop at different stores, or are you happy with the same? The ones I chose last year are good because they are really close to each other and I've had some great luck at them. But let me know if you have any specific store requests! Are you coming? Or attending in your city? Update: Find details for the event right here. Hey! Did you get my email reply last week? If baby isn't here yet i want to come. Keep me posted! That sounds great, Susie! Your email must have gotten caught in my spam. I've had issues with that recently. I hope baby will wait a little so you can make it!